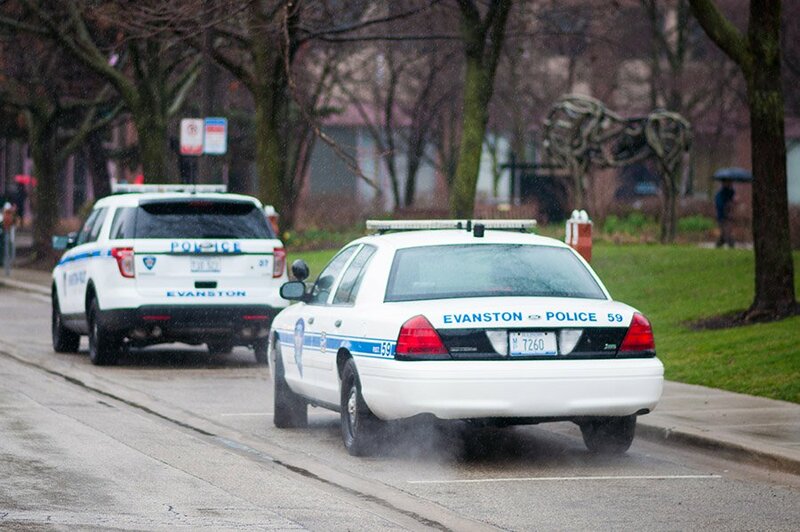 Two parked Evanston police cars. The Evanston Police Department kicked off a “Click It or Ticket” campaign Monday to encourage the use of seatbelts. The Evanston Police Department, in coordination with the Illinois Department of Transportation, kicked off a “Click It or Ticket” campaign Monday to remind drivers and passengers to buckle their seat belts. The campaign will take place from May 15 through June 4 — one of the busiest travel times of the year, according to a news release. The campaign “enforces seat belt and car seat use to keep all motorists safe,” the release said. The release cites data from the National Highway Traffic Safety Administration, which found that 48 percent of passenger vehicle occupants killed in crashes in 2015 were unrestrained by seat belts. The study also noted an increase in crashes at night, which is why the campaign will target nighttime enforcement. EPD will be taking a “no-excuses” approach to enforcement, the release said, meaning any motorist caught unbuckled will be ticketed.